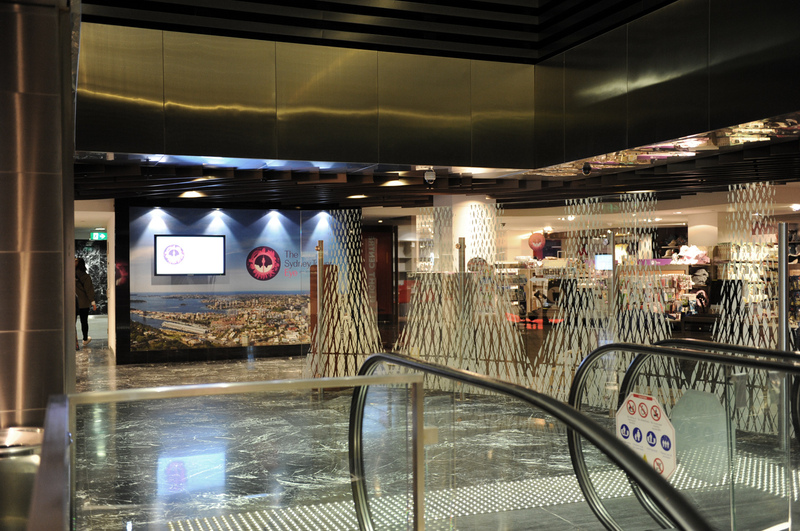 The closest rail stations to Sydney Tower Eye are St James, Town Hall and Martin Place. St James is on the City Circle Line and is just a 2 minute walk west from the Westfield Sydney centre where Sydney Tower Eye is located. Town Hall is is a 5-10 minute walk away north along George Street and the east up Market Street. Martin Place is on the Eastern Suburbs Line and is a 5-10 minute walk south along Castlereagh or Pitt Streets. 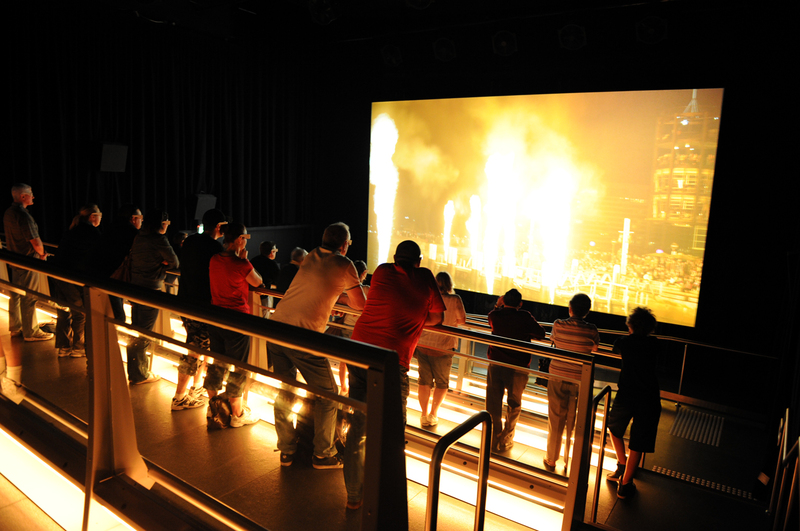 ● Please be advised that flashing lights and small water sprays are part of the 4D experience. If you are sensitive to any effects please advise your Tower Host. 4D glasses are available in one size fits most. The Sydney Tower Eye Observation Deck offers the ultimate view of Sydney and beyond, where visitors can enjoy a horizon-to-horizon panorama. 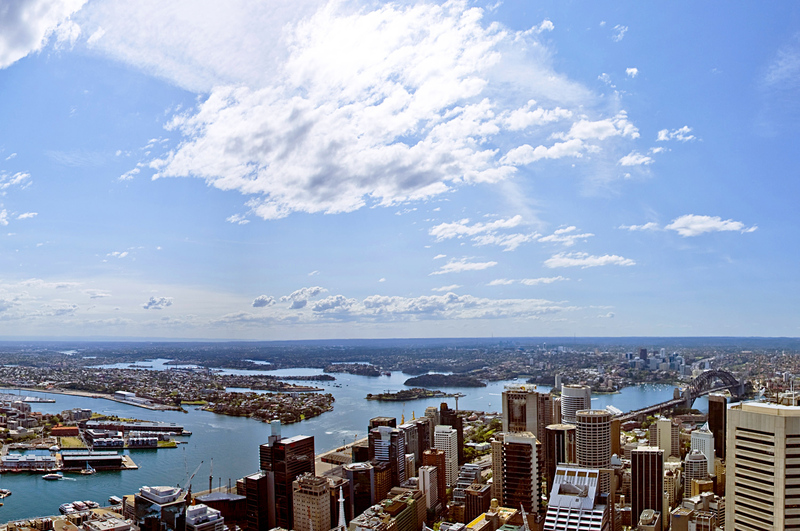 Take in 360 degrees of view featuring the Sydney Harbour Bridge, Darling Harbour and Hyde Park. On a clear day you can see over 80km to the Blue Mountains! Fully immerse yourself in the most beautiful city in the world with free binoculars and information screens. With both day and night viewing available, there's simply no better place to experience the beauty of Sydney and beyond. 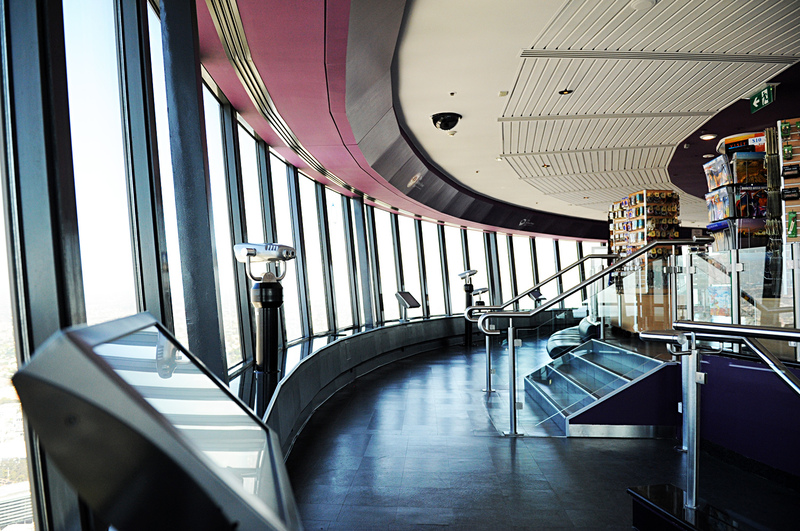 The Sydney Tower Eye Observation Deck offers the ultimate view of Sydney and beyond, where visitors can enjoy a horizon-to-horizon panorama. Take in 360 degrees of view featuring the Sydney Harbour Bridge and Sydney Opera House to the North, the Harbour's intricate shoreline to the East and Botany Bay and the Airport in the South. On a clear day you can see as nearby as Hyde Park and Darling Harbour and as far as 80km away to the Blue Mountains! Fully immerse yourself in the most beautiful city in the world with free binoculars and information screens. 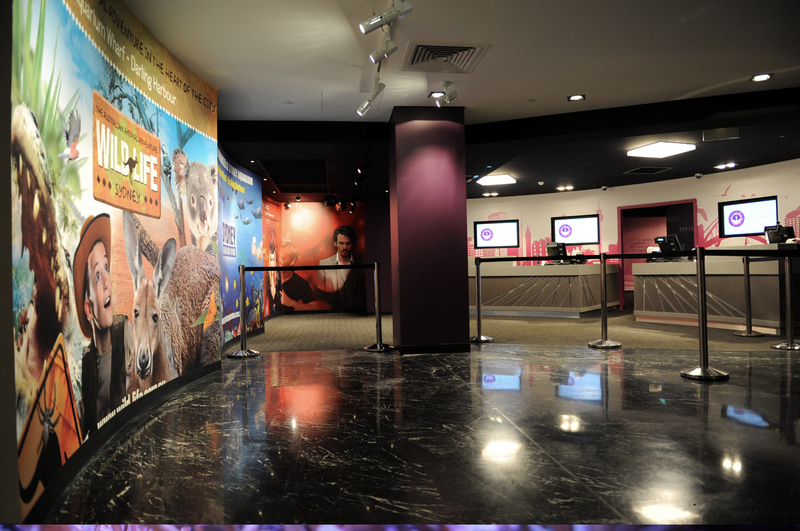 See Sydney in a whole new dimension with the 4D cinema also included in Sydney Tower Eye Observation Deck admission. With both day and night viewing available, there's simply no better place to experience the beauty of one of the world's most picturesque cities. Construction of Sydney Tower Centrepoint shopping centre began in the late 1970's with the first 52 shops opening in 1972. The office component was completed in 1974 and the final stage of the complex, the Sydney Tower, was opened to the public in August 1981. 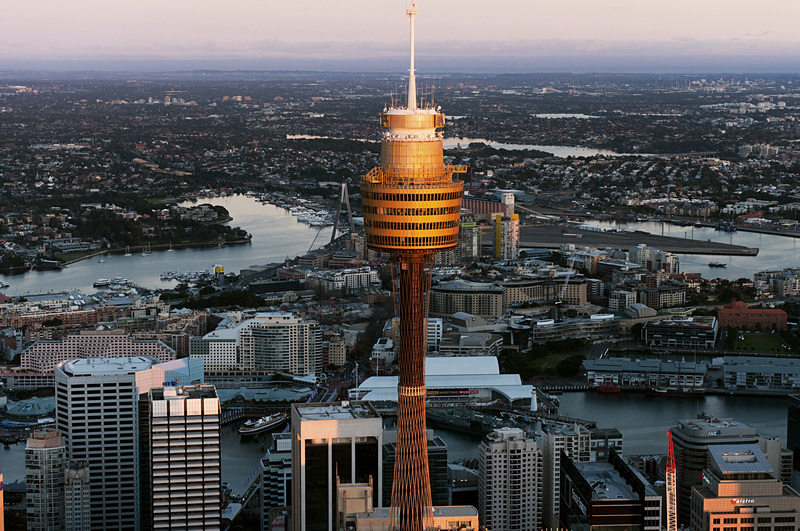 The construction of Sydney Tower is an interesting tale of engineering and quality construction. Pre-made individual barrel units formed the shaft of the tower and the four levels of the turret structure were constructed at the base of the shaft and raised to the top as work progressed. The shaft supporting the turret is made up of 46 barrels units, each weighing 27 tonnes. These were brought on to the site in seven pieces and welded together. Once the first three sections were in place, a gantry crane was erected to hoist the remaining 43 barrel units. Each barrel unit was completed with lift rails, stairwells and hydraulic risers before hoisting. The shaft contains two sets of fire stairs, fire, electrical and plumbing ducts in one half and the lift shafts in the remainder. Once the tower structure was complete, the spire was erected. This was done in two parts, by placing one half and then lifting the top section onto the bottom section. The crane did not have the reach to lift the spire from the top, so it was lifted from the side. This was achieved despite the difficulties of maintaining adequate balance. 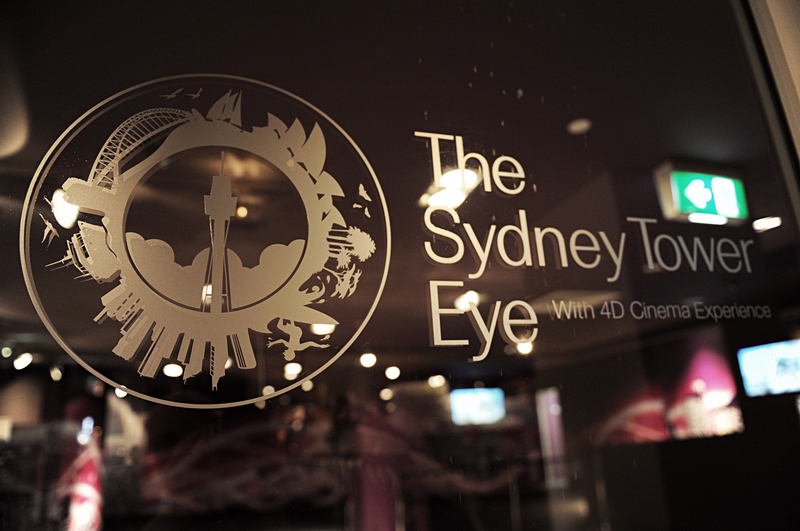 The whole Sydney Tower Eye experience including 4D cinema will take you approximately 1 - 2 hours. 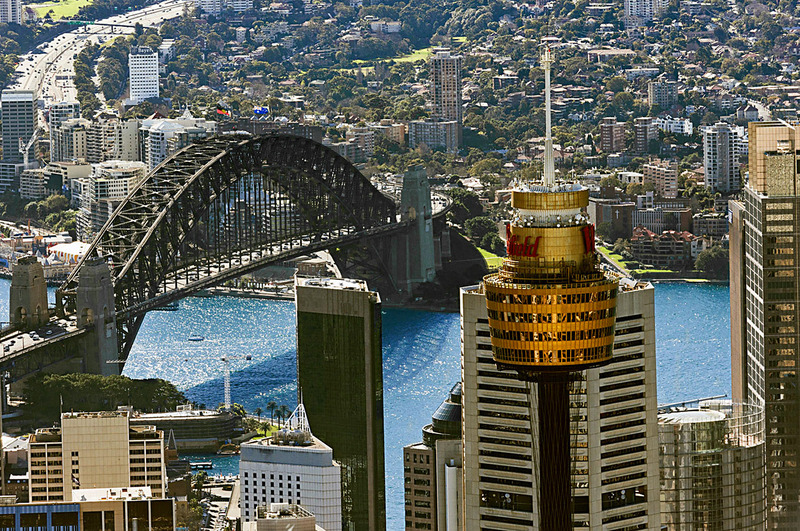 Sydney Tower Eye, often referred to by Sydney-siders as Sydney Tower, Centrepoint Tower, Westfield Centrepoint Tower or Sydney Skytower, has been an integral part of the famous Sydney skyline for the past 30 years. Famous landmarks you will be able to see include The Rocks, Luna Park, Sydney Opera House, St Mary's Cathedral, Sydney Harbour Bridge and many more! 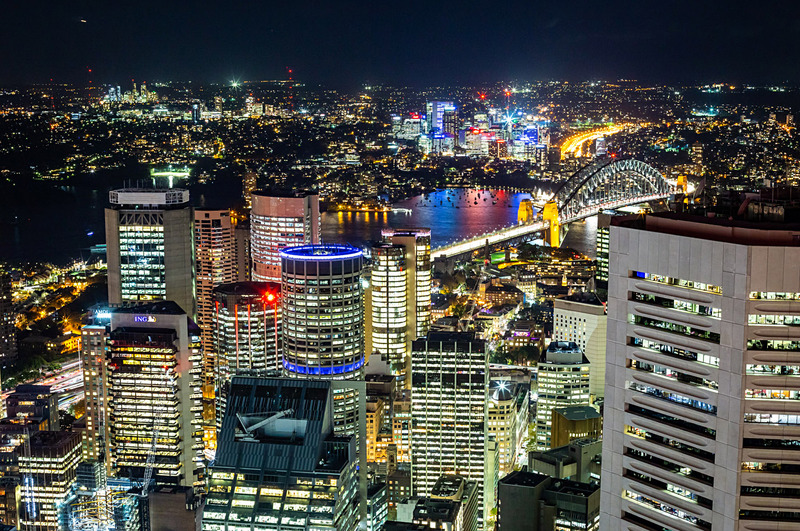 The Sydney Tower Eye has been an integral part of the famous Sydney skyline for the past 30 years and stands 250 meters above street level allowing our guests to have 360° views of Sydney's fantastic skyline. 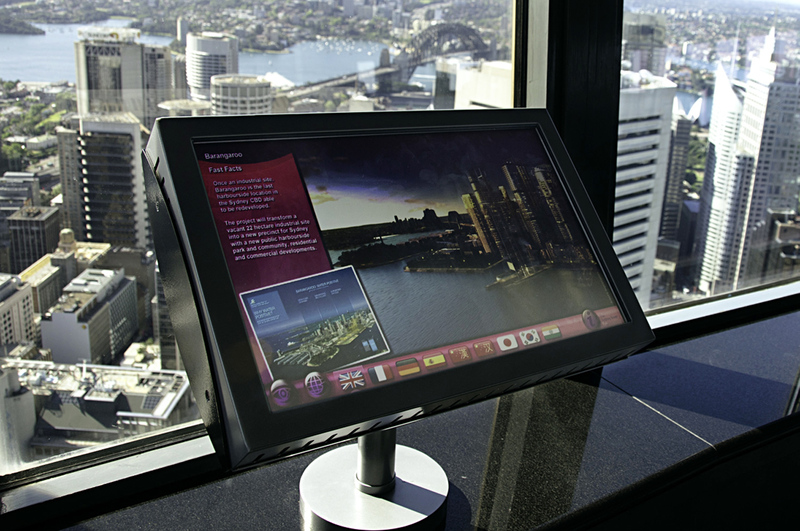 Complimentary interactive touch screens to provide guests with information on Sydney sights and landmarks. The 4D show is about 4 minutes in length and starts every 5-10 minutes. With both day and night viewing available, there's simply no better place to experience the beauty of one of the world's most picturesque cities.